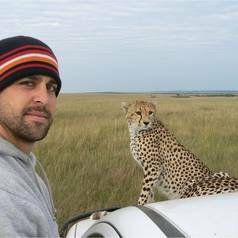 Andrew Flies earned his PhD from Michigan State University for studying the immune system of spotted hyenas. His research uncovered strong correlations between social structure, ecology, and immune defenses in wild hyenas in Kenya and a captive facility. He is currently a postdoctoral research fellow with joint appointments at the University of Tasmania and University of South Australia. His research focus is on developing an immunotherapy treatment for the Tasmanian devil facial tumour disease, and developing novel therapeutics to treat allergies.